Home Plate Baseball is a baseball simulator and mini-game collection for Gear VR\Oculus Go. Baseball Game: Normal baseball game 3 strikes to an out, 3 outs to an inning. If you get four balls you get a walk. Make sure to choose your swings carefully. 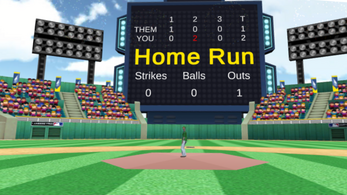 Score as many runs as you can in three innings. 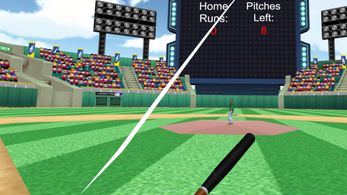 If the ball lands in the infield it's an out, farther from home you'll get more bases. If tied at the end of three innings you'll continue to repeat the last inning. Home Run Derby: You will use the Gear VR / Go controller to swing at pitches to send them to the fences. 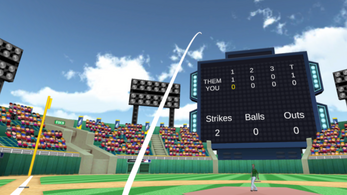 The pitch will always come to the same location. 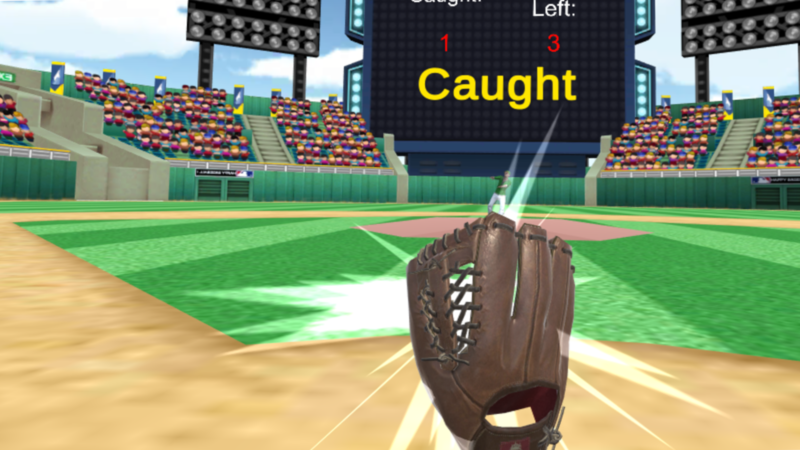 Catching Game: Catch as many pitches as you can as they come at you. Hard mode: Pitches come in much faster, the fastest pitches are over 100 mph. All games are compatible with Oculus Go, and Gear VR controller in both left and right handed configurations. If you would like a copy please contact me at Web@Beep2Bleep.com.